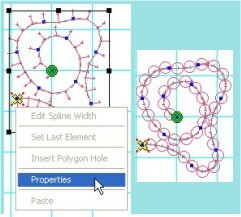 Draw the curve or shape you need and the software will automatically and intelligently place the sequins within the shape for you. The results are beautiful sequin designs with minimal effort. Various settings, like distance, margin, offset, corner corection give you the control you need to create the perfect sequin design. Switching over a object with and without sequins through by a Preferences option. Variety of size and type sequins. Change Sequin Device feature allow creating designs with sequins of defferent colors, shapes and size. Standard and user programmable stitches to fix sequin. Automatic fixing stitch correction for stable sequin sew on. Taping, Cording and Coiling are unique embroidery effects created using special embroidery heads available only on some Comelect embroidery machines. The embroidery head twisting of core thread and coiling yarn stitching with upper thread to create the unique coiling stitch, Taping effect is the attaching decorative yarn, various kinds of braids and tapes creating a new type of embellishment. CEDS 4G/ v4.1 / WIN can easily create coiling and taping embroidery using just the simple Run stitch, and special machine commands to activate machine functions, thus saving hours of manual effort. Objects with sequins are so easy to edit, as a objects without sequins. 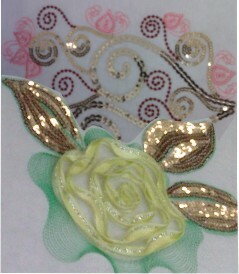 Posibility to insert sequin on every stitch node of a design, chance to upgrade old designs with sequins. Unlimited place / remove sequins. 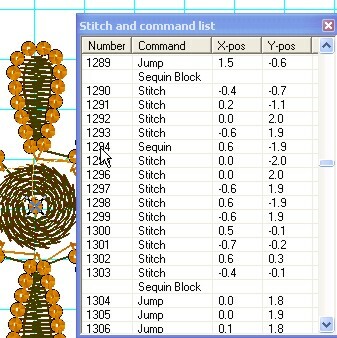 Chart of stitches and machine commands with description, number and location in the design. for full synchronization between CEDS 4.1 and embroidery machine. 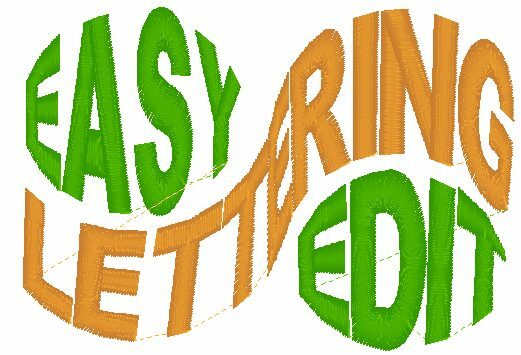 This embroidery design system is easy to use and fast software which will help you create your embroidery designs with the best possible quality. Powerful, speedy, user-friendly embroidery system to create designs within wide margins in complexity, colors and size. In conjunction with ready design you have a technological document including design image and embroidery parameters ( such as size, stitches, expense of threads, separately for every color, machine commands chart and ...) . Clients artwork (picture scan, graphics and image created by graphics software as CorelDraw, PhotoShop or other ) can be imported as background image. Import external graphics formats, e.g. BMP, TIFF, JPG, PSD, GIF, etc. Adjustment of size, brightness and contrast . · The stitches are calculated according to generant with four types of segments - linia, Bezier curve, tangential arc and 3 point arc – without limits of series or number of transitions from one to another type. Comelect embroidery design system CEDS 3G/ v3.8/WIN for Windows® (Windows 95, Windows 98, WindowsXP, Vista) with some pre-programmed fonts and many designs.